CooksRecipes has quality, kitchen-tested slow-cooker recipes for chicken dishes that you can count on for successful deliciousness. 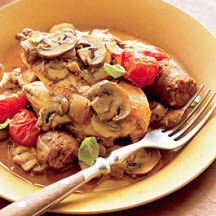 Tender, slow-cooked chicken thighs and mushrooms in a flavorful Marsala wine and tomato sauce studded with salty capers and sweet currants. 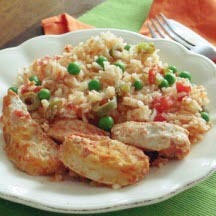 Take 20 minutes of your morning to prepare this chicken and rice dish, then go do what you have planned for the day and let the slow-cooker do the rest of the work.